In this webinar, Dr. Bernard Jones (right) explores data measurement, data visualization, and business continuity management (BCM) metrics. As you may be aware, data measurement and data visualization are on the minds of today’s business executives. Regardless of the business, understanding the power of measurement and visualization will make you and your organization, more efficient and productive. Honestly, these concepts are not new, but as our world continues to become increasingly more dependent on ‘data,’ business executives look to harness data for competitive advantage. So how do BCM metrics enter this conversation? As a long-time business continuity practitioner, Dr. Jones feels BCM metrics are still maturing and must continue to forge its way into the minds of C-Suite executives. But with ever-present budget cuts and downsizing efforts always looming, which program usually gets the squeeze? You guessed it, the BCM program! In his dual role as a university professor,Dr. Jones has completed comprehensive research into these topics and wants to present his findings to help you add value to your BCM programs. Why can’t BCM practitioners play in the data measurement and data visualization sandbox to help elevate our BCM programs? 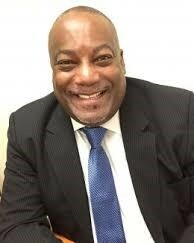 Dr. Bernard A. Jones, CBCP is an Assistant Professor in Homeland Security & Emergency Management at St. John’s University in New York City. He is also a Senior Consultant—Business continuity Manager for MetroPlus Health Plan. Dr. Jones is a former member of the ACP National Board of Directors and is currently president of ACP’s Garden State Chapter.